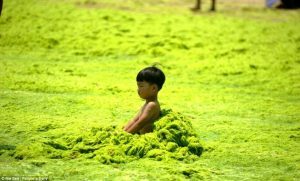 Story: A planet being xenoformed by hostile extraterrestrials using an algae cocktail kidnaps a renowned creator of worldbuilders from future Earth to cultivate a legion of loveable breakthrough specialists to save the planet in time. Life-changing, world-changing transformation is the main character of this thriller. A heroic supporting cast of compelling transformers and transformees propels the action. This is an otherworldly tale of catastrophe, crisis, courage, calling, creation, and camaraderie. The Encore is as alarming and unnerving as it is inspiring and heartwarming. A torrent of twists and turns will rivet readers until startling reveals end the ride. This shocker is so gripping, so profound, and so riddled with truth and meaning that no reader can remain unchanged. Nor can the world. This is a must-read for all aspiring worldbuilders. An unprecedented prescription for personal and planetary transformation governs the action. A new vision for humanity is unveiled. The ordinary can indeed achieve the extraordinary. Many were enthralled by the new modus operandi proposed by Lauren Holmes in her 2001 best seller, Peak Evolution: Beyond Peak Performance and Peak Experience. The Encore reveals how her high-growth, high-achievement technology has evolved into new realms of human possibility 17 years later. Find out more about how to partner with the massive biological infrastructure with which we have co-evolved to operate. Learn how to harness this bio-infrastructure to make your greatest impact on the world and reap your greatest rewards internally and materially. 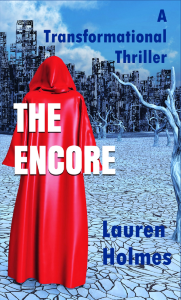 The Encore is a visionary science-fiction ecothriller. It is the first book in the planned transformational series by Lauren Holmes. Stay tuned. Bulk orders may be customized with advertising pages for your company, organization or cause. 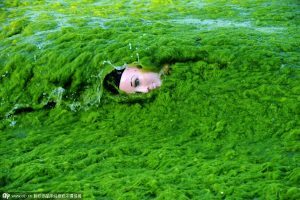 Lauren’s ‘fictional’ algae threat is real !! and so too are her solutions.